ABC Holdings group chief executive Mr Doug Munatsi and four other directors will soon step down from their positions in the group to make way for a new executive team to be announced by new controlling shareholder, Atlas Mara. The group said that Mr Munatsi along with group chief financial officer Mr Beki Moyo and group chief operating officer Mr Francis Dzanya will step down from their positions at the end of this month. Additionally, Mr Howard Buttery has stepped down from his role as chairman of the board of directors of BancABC and will be leaving the board at year-end, as will fellow director Mr Ngoni Kudenga. Atlas Mara, in consultation with the board of directors of BancABC, has identified a highly qualified new executive team led by Simbarashe Ronald Pfende, as the new group chief executive. Mr Pfende will be supported by Makhosi Boyede and Amelia Reynecke, who have been appointed as co-chief operating officers, and Christine Bronkhorst, who has been appointed as chief financial officer. Mr Pfende joins from Standard Bank Group, where he was most recently Head: Finance Transformation. “This follows Atlas Mara Co-Nvest Ltd’s successful completion of its acquisition of BancABC in August 2014,” ABC said in a statement that was released yesterday. 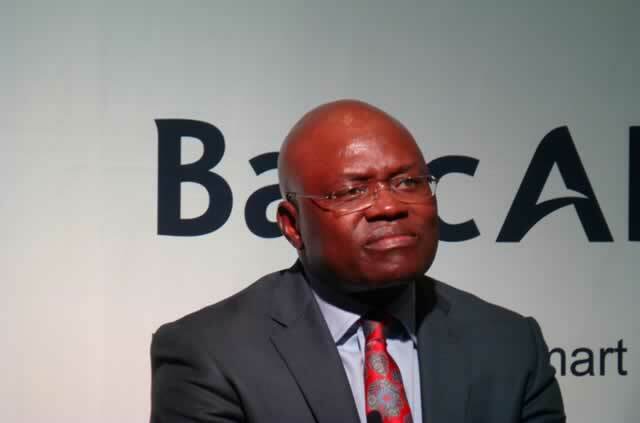 “As the group embarks on the next phase of its development, it was determined, together with the board of directors of BancABC, that now is the right time for Mr Munatsi, Mr Moyo and Mr Dzanya to stand down,” ABC added. Atlas Mara agreed to buy BancABC, which has a primary listing on the Botswana Stock Exchange, for about $265 million in April in the company’s first African acquisition. Founded in 1956, the bank offers financial services in Botswana, Mozambique, Tanzania, Zambia and Zimbabwe. London Stock Exchange-listed Atlas Mara was founded by former Barclays Plc chief executive Robert Diamond and Ugandan billionaire entrepreneur Mr Ashish Thakkar and acquired BancABC through direct share acquisition of ex-controlling shareholder, Germany listed group ADC. “Since the completion of the transaction, the executive management of Atlas Mara and BancABC have been collaborating on identifying opportunities for enhancing BancABC’s operations and executing its strategy. Atlas Mara CEO Mr John Vital has been appointed as interim chairman, subject to regulatory approval, and Mr Bradford Gibbs, a member of Atlas Mara’s executive committee, has also joined the ABC, the parent firm of a group of banks in sub-Saharan Africa trading under the brand, BancABC. ABC said this follows appropriate vetting and approvals by relevant regulators, and are expected, together with the Atlas Mara team, to lead BancABC’s future growth and development. The Zimbabwe Stock Exchange- and Botswana Stock Exchange-listed group said Mr Munatsi, Mr Moyo and Mr Dzanya are working closely with Atlas Mara and the new management team to ensure a carefully managed transition. “Beki (Moyo), Francis (Francis Dzanya) and I have decided that, following the completion of Atlas Mara’s acquisition and the recent closing of Atlas Mara’s mandatory offer, it is an opportune time to leave the group. “We are particularly confident in BancABC’s future knowing that the majority shareholder has the access to capital, expertise and experience to continue to grow the institution,” said Mr Munatsi. The departing team leaves BancABC after making it one of the most recognisable and strongest top banks in the domestic and regional market, at a time a number of indigenous banks are struggling. Interim chairman Mr Vitalo said: “I want to thank Doug, Beki and Francis for their significant contributions, in establishing and growing BancABC and assisting Atlas Mara since the acquisition. “Were it not for their dedication and hard work, BancABC would not be in the position it is today. I look forward to continuing to work with them as we effect a smooth management transition. Mr Munatsi, Mr Moyo and Mr Dzanya received a total of 1 743 888 Atlas Mara shares in consideration for the transfer of their shares in ABC Holdings at the time of the completion of the BancABC acquisition. In connection with their separation, Atlas Mara has agreed to purchase these shares at a price of $10 per share. BancABC said the repurchased shares will be held in treasury. In addition, the departing management team has been granted options over a total of 1 521 838 ordinary shares. The dually listed group said, in connection with the management team’s departure, BancABC expects to incur a one-time net charge to income of approximately $5,8 million in the fourth quarter of 2014.